This is a story of how Texaco/Chevron buried a small Amazon village in toxic, cancer-producing sludge, then committed almost every crime imaginable to avoid cleaning it up. The villagers fought back with a lawsuit that Chevron stalled for decades. Sara McMillan, Chevron’s chief environment officer, comes across as the greatest movie villain of all time. She makes Cruella de Ville look like a saint. Discard any guns before watching this movie. When it is done you will have an overwhelming urge to go postal and exterminate as many Chevron employees as you can. 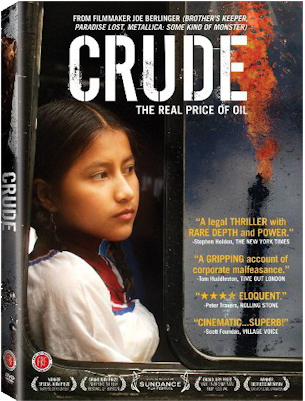 It is not what the movie says about Chevron, it is what Chevron says about itself on camera. What a filthy corporation! Greed gone insane! I will never buy another Chevron product again.